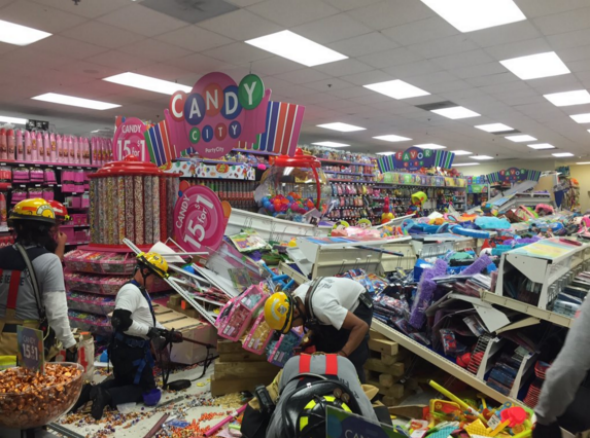 Party City candy aisle collapse in Boca Raton. On the scene in Boca Raton, Florida. You know what a hero is? A hero is someone who runs into a pile of party hats when the rest of us are running the other way. 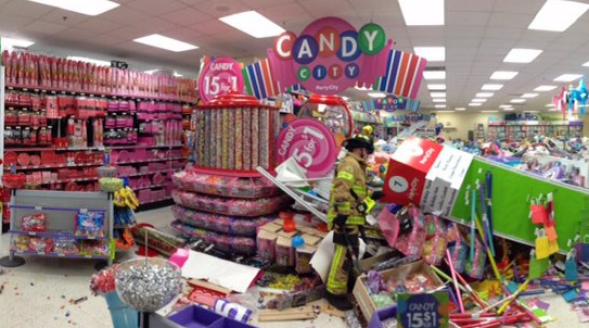 A local ABC affiliate reported that some of the store’s candy shelves were among the victims of the disaster. 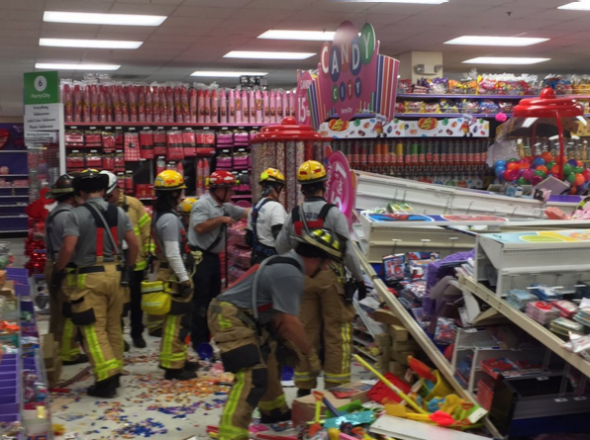 The crew that searched under the shelves was assisted, the Palm Beach County Fire Rescue Twitter account says, by canines from the local sheriff’s department. If you see a firefighter or dog today, shake his/her hand and tell him/her how much you appreciate his/her work. And try not to be the bonehead who knocks over seven shelves at a Party City store.